The pink fairy is filled with crinkle fabrics to encourage baby to reach, touch and listen. 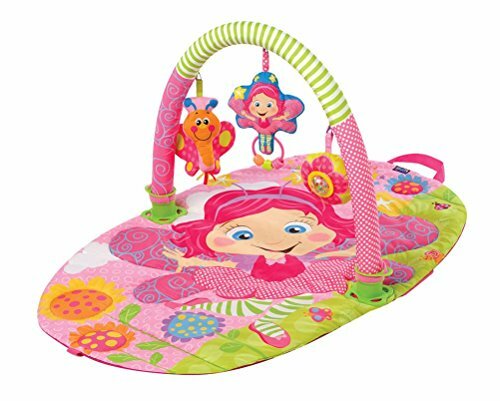 Features a brightly colored padded mat for baby's comfort and visual perception. Varied patterns and delightful fairyland characters will capture the interest of any baby! Comes with 3 cute detachable character toys, that can be attached to stroller, car seat etc.